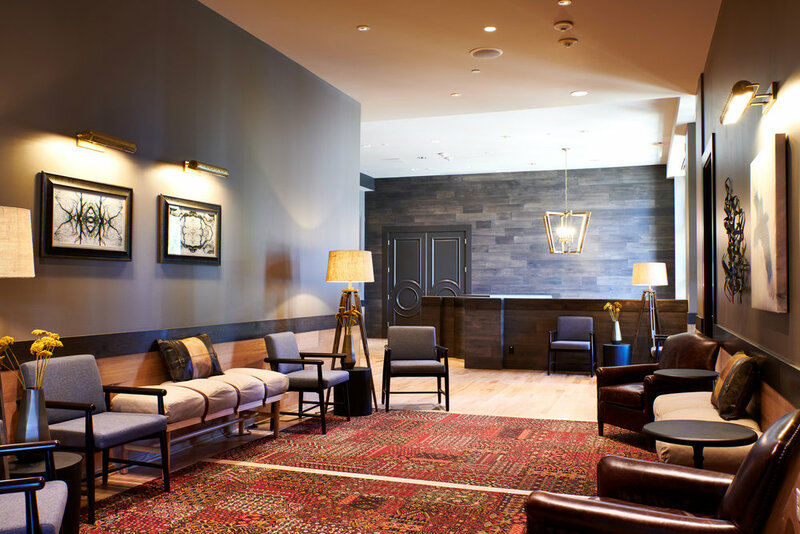 Nestled along the picturesque Willamette River that divides Portland, Oregon, Kimpton’s RiverPlace Hotel offers guests a tranquil respite from the hustle and bustle of downtown. 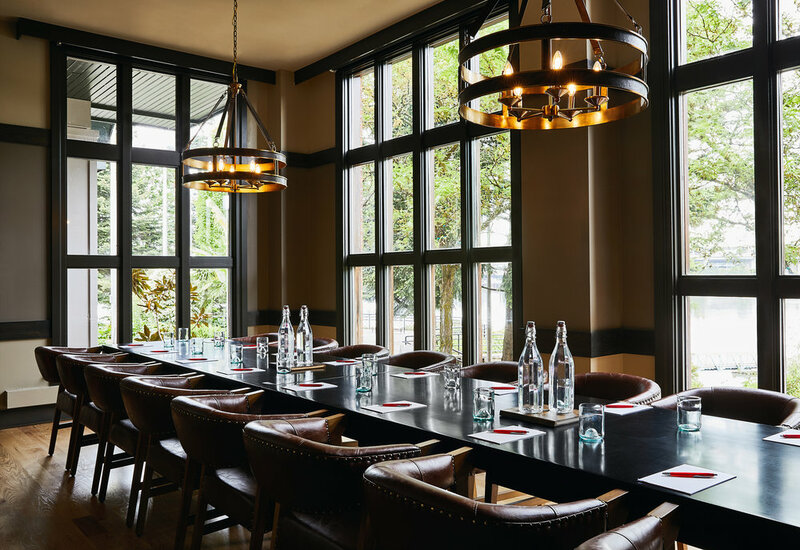 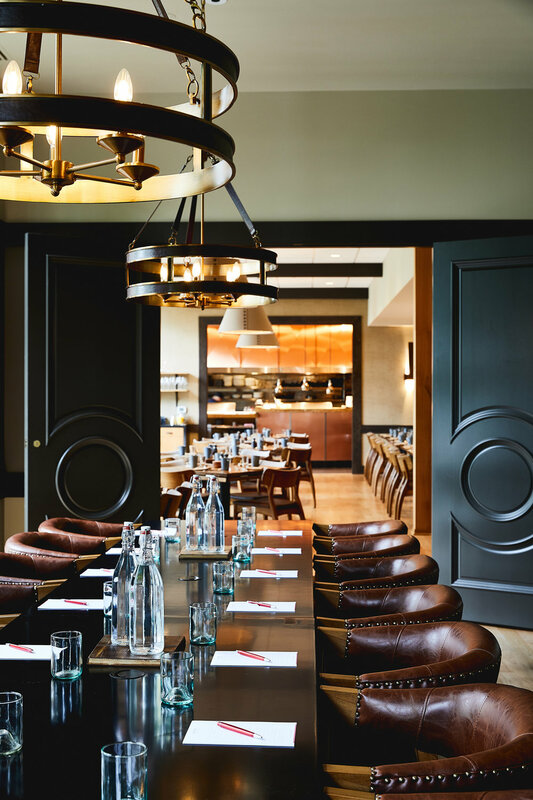 Following a recent guestroom renovation, Grizform Design Architects was brought on by ownership to overhaul the existing bar and restaurant, King Tide Fish & Shell, and create new private dining and fitness center spaces. 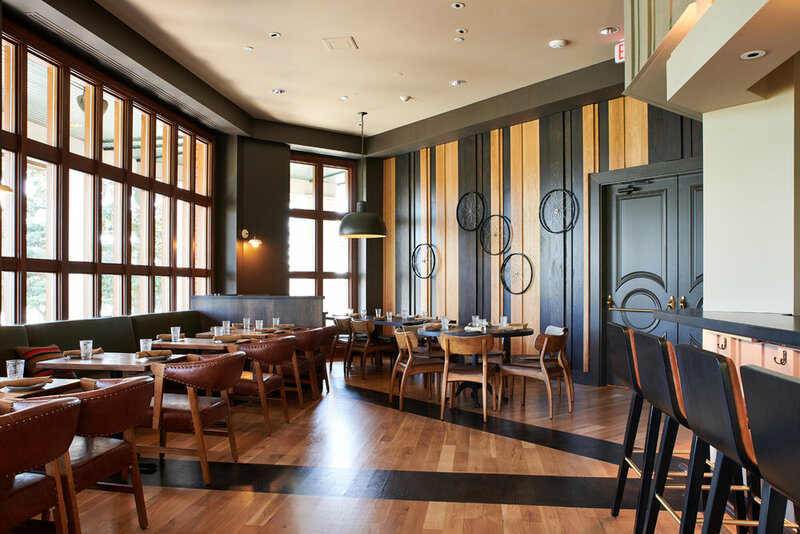 Inspired by the lavish natural beauty of the Pacific Northwest, GrizForm Design Architects developed a design concept that highlights these elements and effortlessly connects the interior space with the surrounding landscape. 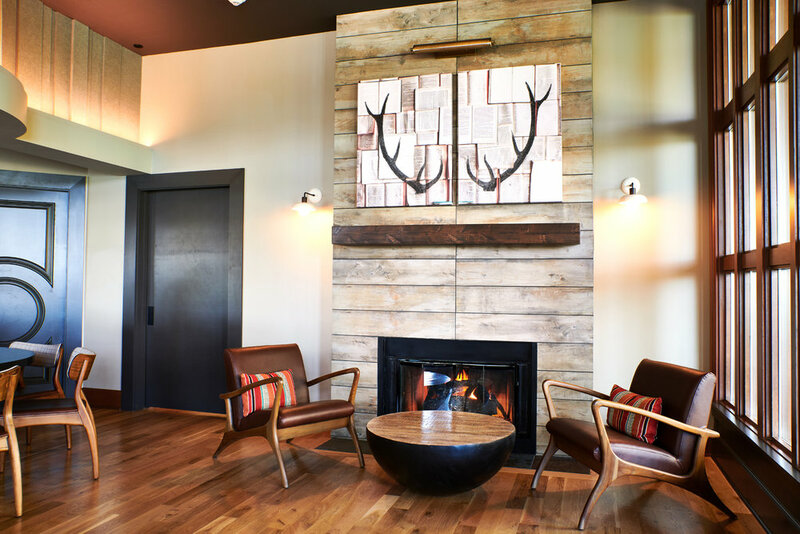 Richly stained woods, abundant texture, and a palette of deep greens, warm browns, and sea grey creates a refined, lodge-inspired aesthetic that is elegant, but unpretentious.